Water Garden Ltd offer lake lining materials and installation services for large ponds and lakes throughout the UK. Contact our experts for advice. Large ponds and lakes can be constructed and sealed using a number of materials such as puddled clay, bentonite and rubber pond liners. 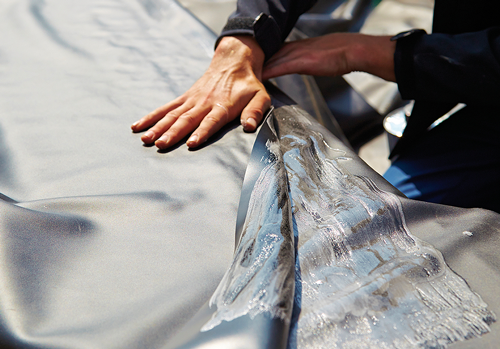 Water Garden Ltd specialise in rubber lining materials as these have proven to be highly reliable, carrying long guarantees and certain materials such as Firestone EPDM and SealEco EPDM rubber can be joined on-site by qualified Firestone Installers. Rubber lake liners also offer a ‘clean’ lake bed which limits turbidity whereas puddled clay can affect water clarity should this be disturbed and stirred into suspension. Bentonite liner, whilst having some ‘self-healing’ benefits, can be expensive to install due to the bulk and generally carries no ‘guarantee’ of performance. Water Garden can put you in direct contact with professional lake liner installers across the UK who can supply and install this with manufacturer-backed guarantees. EPDM lake liners may be more expensive in up-front costs of materials and installation but, their long-term performance will pay dividends. We also highly recommend a heavy duty underlay is used beneath to further safeguard the liner from potential stone and root penetration. We also offer a wide range of Lake Management equipment such as lake aerators, skimmers, floating fountains, lake dyes and water treatments to ensure you lake stays in top condition for decades to come. 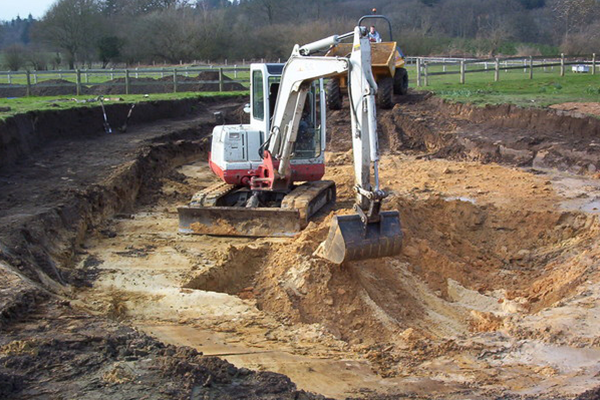 If you are planning to install a lake, are looking to have an existing lake restored, planning to install an ornamental swimming pond or require an attenuation pond or irrigation lagoon, give our team a call.